Six of our beaches in Plettenberg Bay were again awarded international Blue Flag status for the 2018-2019 season, and one Blue Flag boat operator. In South Africa, 66 Blue Flags will be proudly flown at 46 beaches, 8 marinas and by 12 sustainable tourism boats around South Africa over the forthcoming 2018/19 South African Blue Flag season, which opens officially on the 1st of November 2018. 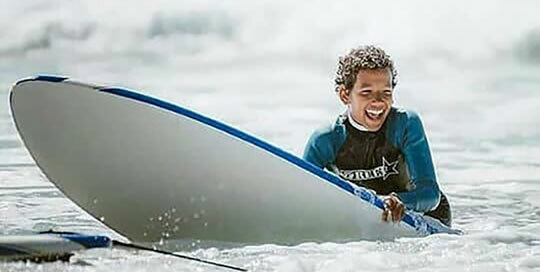 This was announced at the National WESSA Blue Flag launch hosted by the Mossel Bay Municipality at Santos Beach, Mossel Bay, in the Western Cape on the 12th October 2018. The Western Cape has achieved the highest number of Blue Flag sites, with 30 beaches, 12 boats and seven of the eight Blue Flag marinas. 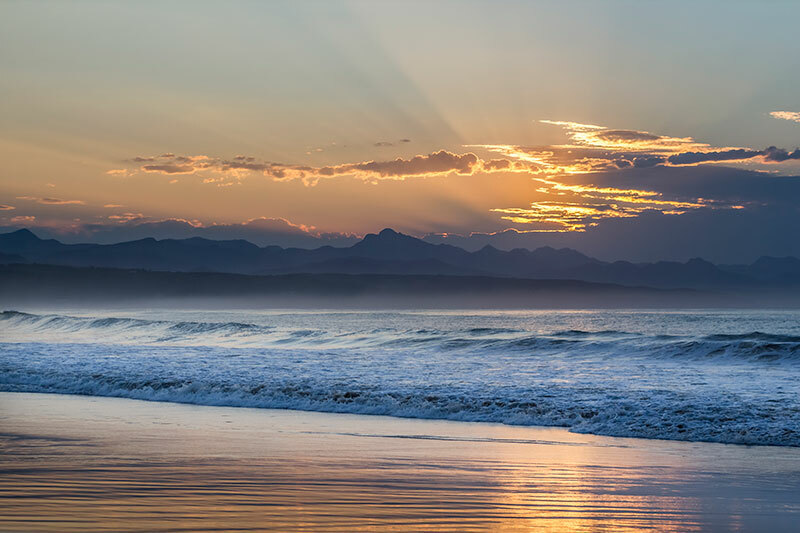 Plettenberg Bay, the designated municipal area referred to as ‘Bitou’, has received 6 Blue Flags for beaches and 1 for a boat operator – Offshore Adventures. Our Blue Flag beaches are Robberg 5 (10th year), Keurboomstrand (8thyear), Nature’s Valley (7th year), Lookout (5rd year), The Dunes (3rd year) and The Singing Kettle beach (2nd year). In summer, the wind often picks up a bit in the afternoon and turns our mirror-calm bay into a field of white horses, so for your best beach experience its best to make the most of the morning and head out early. This also means that you’ll avoid the hottest time of day when you’re most likely to burn. If the tides are right, early morning is also a wonderful time to search for the iconic Plett pansy shell. 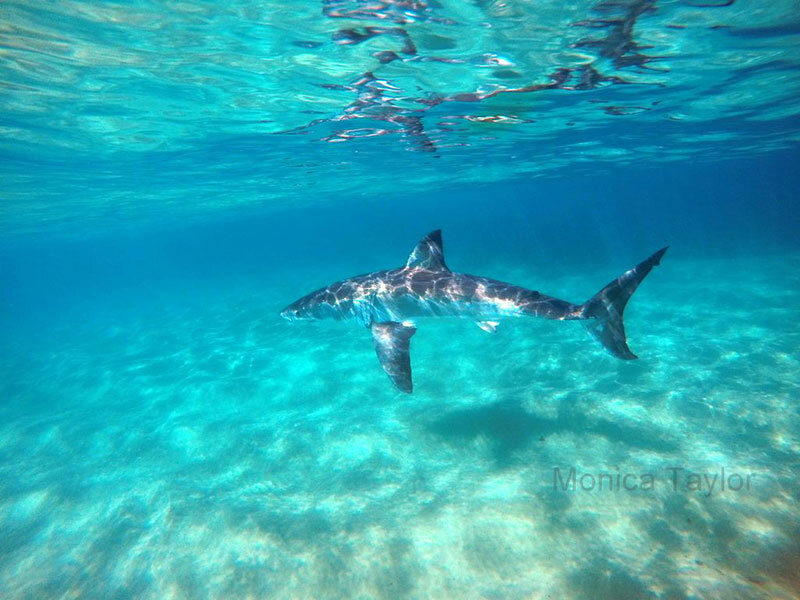 Offshore Adventures is Plettenberg Bay’s only Blue Flag boat and they offer a variety of freediving safaris including a swim with the seals of Robberg, and a more adventurous freediving excursion to dive with pelagic sharks further out to sea. Either trip could offer the delights of dolphins, whales and many other inhabitants of our abundant bay. Also, scuba diving and snorkelling off the Beacon Isle are extremely rewarding with brightly coloured reefs and a large variety of fish species. 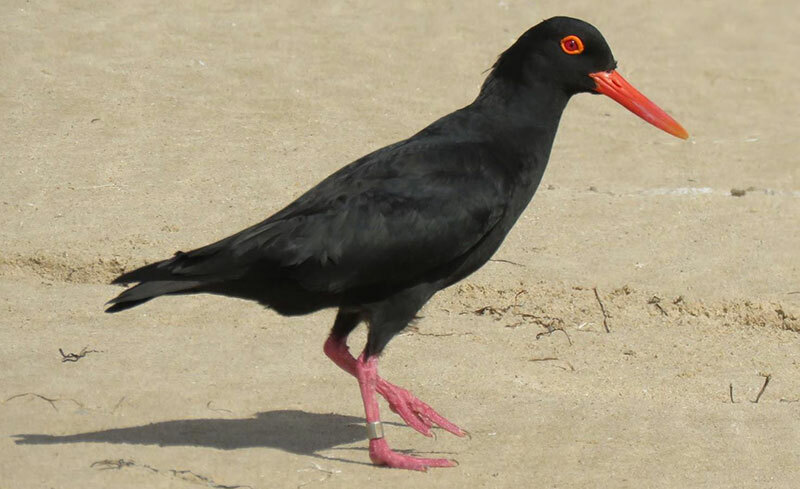 We share our beautiful beaches with many other terrestrial creatures including the African Black Oystercatcher which mates for life and can life up to 35 years. Their population has been severely damaged to due to human interference and dog attacks and the birds are known to abandon their nests if predators approach too close. In an effort to share our shores with other animals, Plett’s beaches have “dog-walking” ratings, which is visible at each of our beaches. On beaches zoned as “green”, dogs are allowed off their leashes, “orange” only allows dogs that are on leashes, and no dogs are allowed on “red” zones. So, have a look before you take your canine pal walking on the beach. Get out onto the water and feel the sun and salt water on your skin, breathe in that sea air. This is what holidays were made for! However you choose to enjoy our waterways and waves: bodyboarding, swimming, paddling, surfing or stand-up paddling be sure to only enter the water when there are lifeguards present and learn what to do if you find yourself caught in a rip current. Our beaches are beautiful and safe, but not without dangers so always be aware of your surroundings. What to do if caught in a rip current. Pack an umbrella, blanket and a picnic basket and choose from one of our gorgeous beaches. You’ll find excellent bakeries and delis around town to stock your picnic basket and, if you’re feeling creative, pick up some buckets and spades and build a sand sculpture. 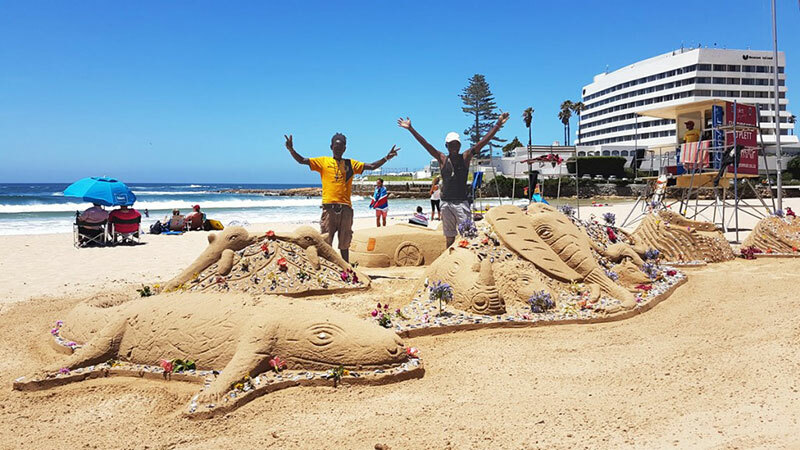 You may want to visit the sand artists on Central Beach for some inspiration first!